Taking my trusty travel wallet on the trip. I remember getting this fortune and loving it. 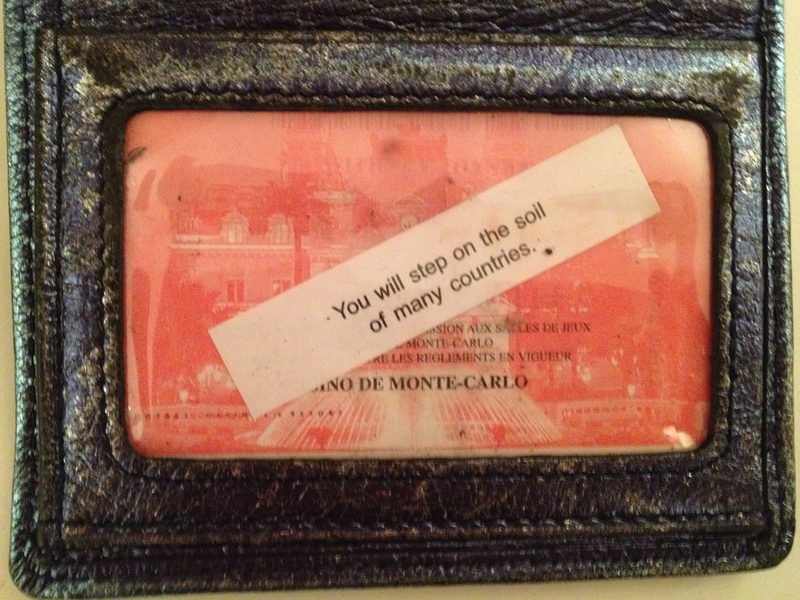 It sits on top of my Monte Carlo Casino card. I hope it brings me luck as I go to Hungary and the Czech Republic for the first time! See you all in 10 days!